Fast. Agile. Stable. Fun. 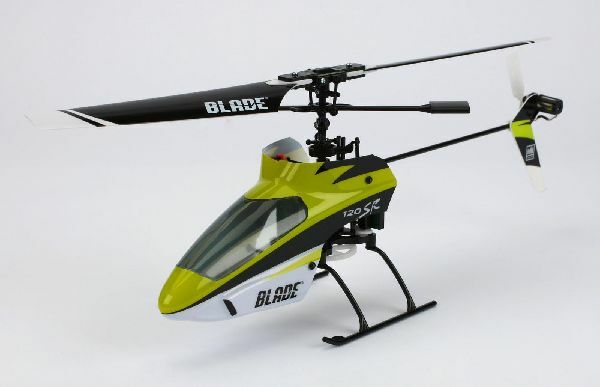 The 120 SR is a single-rotor, fixed-pitch heli with positive stability for indoor and outdoor use. It comes out of the box 100% factory built and equipped with a factory installed 5-in-1 control unit with Spektrum's 2.4GHz DSM2-compatible receiver, main motor ESCs, mixer, gyro, and fully proportional servos. A ready-to-fly version with 2.4GHz DSM2™ transmitter and a Bind-N-Fly version without transmitter, for those who already own a DSM2 aircraft transmitter, are available. Both include a 1S 500mAh Li-Po battery and a single-cell, variable rate Li-Po charger as well as an AC power supply. You will need...Nothing! Everything needed is included in the box.